I suffered from eczema when I was in college. I took up nursing, where we were required to tie our hair up into a bun. I had eczema on my nape, specifically at the very end of my hair on my neckline. I was a regular first bencher, as we had to sit in the alphabetical order. It was an embarrassing ordeal, as my classmates seated behind me often questioned “what is that?” and “where is it from?” I would just answer them with humor saying that it was from “allergy to unpleasant people”, but the fact was, I really don’t know where it came from or what was causing it either. As a result of this, I had low self-esteem and I found it difficult to focus in class. After many weeks, the problem continued to persist. I decided to just cut my hair short to cover it and so I will not be required to tie it up. Until I graduated from college, I continued to maintain short hair because of eczema. I was very happy when my classes ended because I could finally grow my hair again. My eczema had gone by then, given that I needed to avoid certain foods which I believe triggered it. The area has a scar and sometimes, it’s itchy. I really wish I could eat those foods which I continue to avoid due to the fear that it could flare-up again. Eczema is a genetic type of rash that makes the skin sensitive and extremely dry and rough. It is a general term for any superficial inflammatory process involving the epidermis. Eczema is a skin condition causing inflammation and intense irritation. On the early stage, it is primarily marked by redness, itching, minute papules and vesicles, weeping, oozing, and crusting, and later by scaling, lichenification and often pigmentation. A papule is a small pimple or swelling on the skin, often forming part of a rash, while the vesicle is a small fluid-filled sac, cyst, or vacuole within the body. Eczema is an inflammatory condition of the skin. The most common symptom is the presentation of a rash, usually red, itchy, and patchy. The ick can start out as just an itch and it develops into very thickened, irritated, and inflamed skin. It can also become infected skin. The patient will find it in the creases of their arms or behind the folds of their knees, but eczema can also occur almost any place on the body. The actual cause for eczema is “UNKNOWN” and it is thought to be something wrong with the immune system that sets off the intensity of your skin to become irritated or inflamed when exposed to different types of allergens. The skin doesn’t hydrate itself properly and isn’t moisturized properly and as a result of the combination of these two creates the inflamed, itchy, irritated skin. 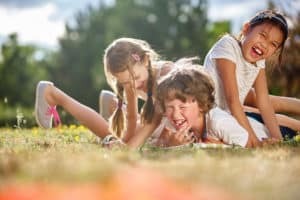 Atopic dermatitis (allergic eczema): It is common to families, it is inherited and is associated with asthma and hay fever. Contact dermatitis (allergy that is often caused by specific ingredients): The ingredient can be anything from dust, fragrance, soap, moisturizer, and lots of different ingredients. Sometimes, eczema can mimic other diseases and so you might be suffering from something that looks like a fungal infection but you think it is eczema and you’re treating it inappropriately. As stated earlier, the exact cause of eczema is unknown, but it’s thought to be linked to an overactive response by the body’s immune system to an irritant. It is this response that causes the symptoms of eczema. A person can also have a temporary eczematic reaction to medication, an irritating substance, or an internal illness. Some people may have “flare-ups” of the itchy rash in response to certain substances or conditions. For some, coming into contact with rough or coarse materials may cause the skin to become itchy. For others, feeling too hot or too cold, exposure to certain household products like soap or detergent, or coming into contact with animal dander may cause an outbreak. Stress may cause the condition to worsen. Generally, people with eczema suffer from dry, sensitive skin. Eczema is also known for its “intense itch”. 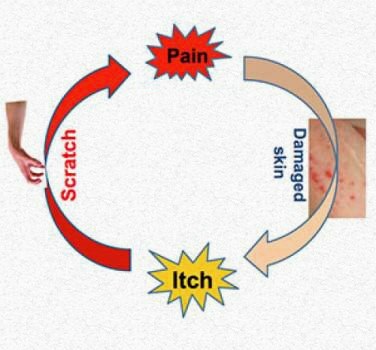 The itch may be so bad that you scratch your skin until it bleeds, which can make your rash even worse, leading to even more inflammation and itching. This is called the itch-scratch cycle. 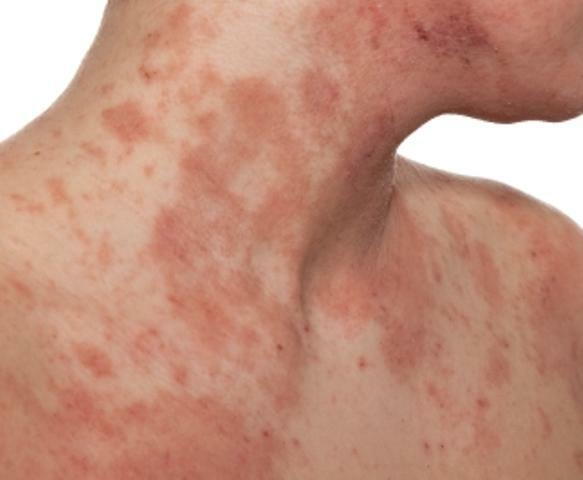 Both the type of rash and where the rash appears depend on a person’s age. Infants as young as 6 to 12 weeks develop a scaly rash on their face and chin. As they begin to crawl and move about, other exposed areas may be affected. 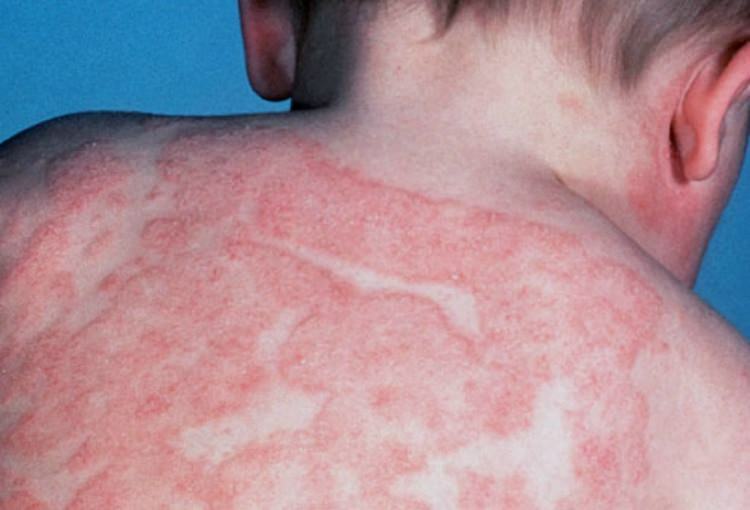 In childhood, the rash begins with bumps that become hard and scaly when scratched. It occurs behind the knees; inside the elbows; on the wrists, ankles, and hands; on the sides of the neck; and around the mouth. Constant licking of the lips can cause small, painful cracks in the skin. Some people develop atopic dermatitis for the first time as adults. The rash is more commonly seen on the insides of the knees and elbows, as well as on the neck, hands, and feet. The symptoms can be localized or widespread throughout the body. 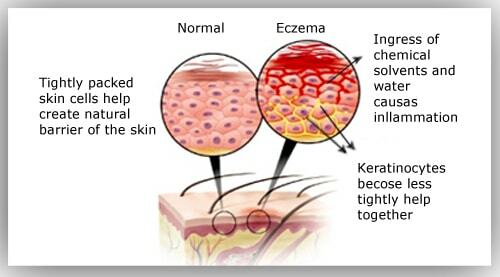 Eczema is a skin condition that it is very common around the globe and also here in the hot and dry conditions of the UAE. Having said that, hot and humid conditions are not the only aggravators of this condition. Even being inside an air-conditioned environment affects the skin as it turns cold and dry, and therefore even itchier, says Dr. K. Balachandran, dermatologist and laser skin specialist, Aster Medical Centre in Bur Dubai. The number of people developing eczema is increasing every year, he says. The only way to deal with it is to control the condition with ointments and by trying to find out what triggers this allergic reaction. The terms dermatitis or skin inflammation, and eczema, are synonymous. This highly vexing skin condition starts off with a dry and itchy skin and no matter how much you scratch the area, the itchiness does not subside. If left untreated or uncontrolled, it can progress into a more serious condition wherein the skin develops into crusty scales and blisters, that erupt to ooze pus. “This is called weeping eczema,” says Dr. Balachander. An extremely embarrassing condition, eczema can lower one’s self-esteem due to many reasons. It hampers social interaction, makes the sufferer acutely conscious of his condition, and due to the skin discoloration, it places great stress on the individual’s mind about appearance. However, the upside is that it is not contagious and contact-driven. “You will not pass on this condition to others through touch,” says Dr. Balachander. 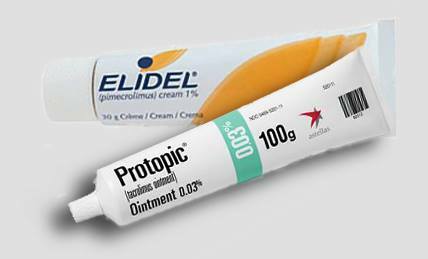 The most important thing for people suffering from eczema is to control it. “It rarely gets to the severe stage, but you must heed the doctor’s advice regarding its management,” he says. He believes it is also important to educate the patient about the nature of eczema and all factors regarding it. “We lack exact data about the prevalence of eczema in the UAE. But we are clearly noticing an increase. Fifteen years ago doctors saw two patients with eczema a week. 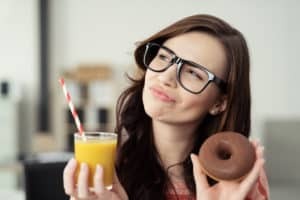 Now we see more than ten a week,” said Dr. Mariam Mattar, family physician, Department of Health and Medical Services, and manager of the health center at Dubai Ladies Club. Like Dr. Mariam, Dr. Al Nasir said he sees a greater number of eczema patients today. “Now I see up to 50 cases a month. We know eczema is caused both by genetic and environmental factors. We can’t do anything about genetic factors, but we can keep away environment factors that trigger the condition,” he said. “The UAE is hot, dusty, and sandy. The water in the tap is hot the year around. There is too much air-conditioning. All this can bring an attack of eczema,” he pointed out. 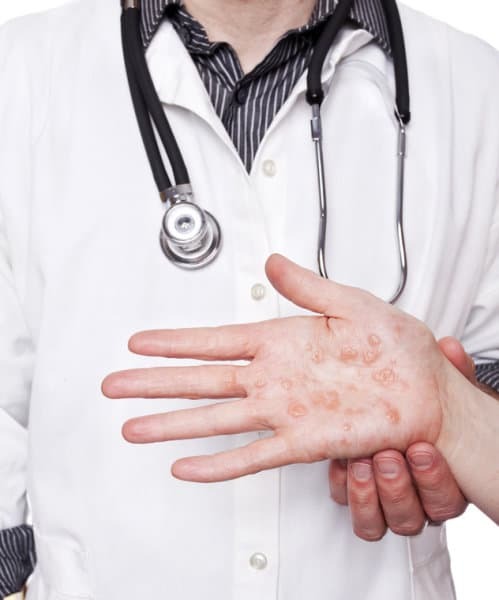 Generally, general practitioners can diagnose eczema and differentiate whether you have eczema or another skin condition. Seasons of the year (for example, in winter), or even emotional responses (such as stress), may cause eczema to worsen. However, a large number of eczema sufferers are not able to link a cause to their symptoms. Sample of a trigger-symptom diary. 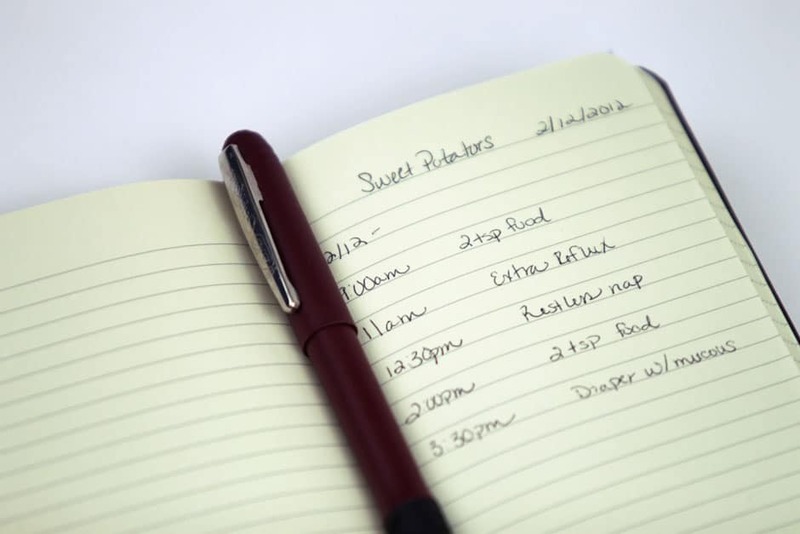 It is essential that any known triggers are avoided and sometimes keeping a ‘trigger symptom’ diary at home may help you to realize what might be causing flares. Important things to consider include bubble baths, shampoos, make-up products, chemicals such as cleaning products and occupational irritants such as hairdressing products or heavy oils and lubricants used in the motor industry or allergens, such as latex gloves, leather, cement, or certain plants. If further investigation is needed or the skin’s condition is not improving with barrier protection and prescribed treatment, your general practitioner may make a referral to see a dermatologist to pinpoint the exact cause of the condition. Allergy patch tests can detect delayed allergic reactions, which can take several days to develop. Patch tests don’t use needles. Instead, allergens are applied to patches, which are then placed on your skin. During a patch test, your skin may be exposed to 20 to 30 extracts of substances that can cause contact dermatitis. Allergy tests (either skin prick testing or a specific IgE blood test) may help to identify airborne or food allergens involved in flares, as many people with atopic dermatitis/eczema may also have asthma, allergic rhinitis/hay fever. Allergens that trigger these may also trigger symptoms in eczema, such as house dust mite, animal dander, mould spores, pollen, or foods. 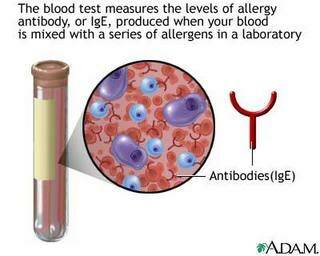 You may need to be referred to an allergy clinic for skin prick or specific IgE blood tests. According to National Eczema Association, there is no cure for eczema, but in most cases, it is manageable. “No known cure” (quoted from Gulf News, Published 00:00 November 27, 2004). There is no cure for eczema. Current therapy is directed at suppressing the inflammation and reducing triggering factors with topical treatments and ultraviolet light therapy. Based on Medical News Today, there is no overall cure for eczema. The treatment for the condition aims to heal the affected skin and prevent flaring of the symptoms. Doctors will suggest a plan of treatment based around a patient’s age, symptoms, and current state of health. For some people, eczema goes away over time and for others it remains a lifelong condition. My son is a healthy three-year-old today. However, just under a year ago, things were quite different. My son was diagnosed with eczema at three months as he displayed the classic dry skin and small little pink patches of irritated, inflamed skin. We tried cortisone, drug store creams, and natural creams, but nothing seemed to stop his skin from getting progressively worse. The latter with some luck, but not a cure-all. His case ultimately got so severe that his body was 90% covered in what looked like burn wounds. So, yes, we were desperate to help him curb the itching and to heal his damaged skin. Nevertheless, not all hope is lost, NAET has been helping people overcome Ezcema to experience new freedom from its age old technique. Allergic reactions to contactants can be different in each person, and may include asthma, eczema, skin rashes, hives, sinusitis, cough, etc. It is apparent that something contacted by the skin can produce symptoms as devastating to the patient as anything ingested or inhaled. The most common symptoms of food allergy involve skin and intestines. Skin rashes include hives and eczema. In the individual with food allergy, the immune system produces increased amounts of immunoglobulin E antibody or IgE. When these antibodies battle with food allergens, histamine and other chemicals are released as part of the body’s immune reaction to these substances. These chemicals can cause blood vessels to widen, smooth muscles to contract, and affected skin areas to become red, itchy, and swollen. Even though Oriental medicine is 4,000+ year old, using Oriental medical diagnostic procedures, we are able to detect the mode of entry of the allergen into the body and what to expect from such entry. If the diagnosis is right, treatment is easier. NAET offers the prospect of relief to those who suffer from asthma and allergies by reprogramming the brain to perfect health. Just like rebooting a computer, we can reboot our nervous system through NAET to overcome the adverse reactions of brain and body. To fully understand NAET, one needs to know some Oriental medical principles since NAET is developed from Oriental medical theories and techniques among others. NAET has taken the acupuncture and Oriental medical theories and developed a technique that can eliminate the reaction from the root. Allergies can definitely cause illness. Continuous contact with an allergen produces toxins in the body, and causes blockages in the meridians. If these blockages are not cleared, reactions to the allergens often produce symptoms that mimic other diseases. With NAET, the allergy test is done by way of muscle testing (kinesiology). An energy vial of the substance is placed in your hand while you are muscle tested. A weak reaction will indicate that this substance needs to be treated through Acupressure. On following appointment, the first allergen will be retested and strengthened if necessary. Afterwards the next item on the NAET Basic protocol is checked and if found weak, it will be treated. NAET Protocol will be strictly followed. The purpose of this process is to improve a person’s immune system. There are 15 to 20 items in the basic protocol that should be tested. By clearing foods from the basic protocol, we strengthen the immune system, improve digestion and absorption. This allows the body to get the necessary nutrients, which are essential for life. We think your weblog is very great to me! I hope that u keep up this good job. Will you please visit my page also? Effective and of great benefit. You’re the boss! Extremely enjoyable. Precisely what I was looking for! bookmark your website and may often revisit in the future. Wow, that’s things i was searching for, what a data! existing here at this webpage, thanks admin of the site. page is truly fastidious and the visitors are in fact sharing good thoughts. say I hesitate a whole lot and don’t manage to get nearly anything done. I wanted to many thanks for this wonderful read!! Hi there, just transformed into aware about your blog thru Google, and found that it’s really informative. I’m going to be careful for brussels. I will be grateful for people who continue this from now on. Many people could be benefited out of your writing. This is just an nice weblog over here. I think I’ll visit your site more if u post more of the specific information. Many thanks for publishing this information. Excellent blog post. I absolutely love this web site. enjoyment, since this this web page conations genuinely good funny material too. know such detailed about my problem. You happen to be incredible! books, when i found this article at this website. Thankfulness to my dad who stated to me about this web site, this weblog is the truth is remarkable. What’s up to all, how is all, I think every one is getting more from this web site, and your views are good in support of new users. Hi, thank for visiting our site. Please don’t forget to subscribe to our blog and you will receive mails once we published new blogs. Feel free to contact us if you need any further information. Please don’t forget to subscribe to our blog and you will receive mails once we published new blogs.Feel free to contact us if you need any further information. Cheers! Incredibly beneficial information that you have said, many thanks for adding. Hi, thank you for your comment 🙂 Please don’t forget to subscribe to our blog and you will receive mails once we published new blogs. Feel free to contact us if you need any further information.